If your customer is from EU (European Union ) and he is representing a company (has a valid EU intra community number), the VAT from his order will be automatically removed. Simple right ? We take into consideration 2 aspects. *Note: If the customer is from the same country as the shop VAT will be applied in all cases. There are several checks made. If the shop is not from the same country with the customer, here is where the add-on will do the job. When a user is inserting his VAT number, the add-on is verifying if it is written correctly: 2 letters (country code) in the first field, and max 12 characters in the second field. 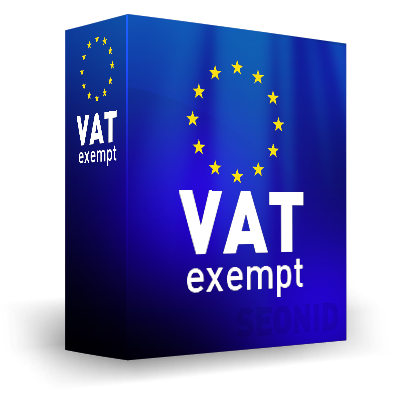 If the VAT number is valid, the user can purchase his order with tax exempt. We created this add-on because of the headaches we had validating vat numbers which our customers provided. Also, there was always a delay, since the customers had to send us mail before purchasing. Here are few cases to undestand the principle. We have the following variables. Shop Location - company , Customer as individual, Customer as a company, and customer's location. If the Customer is from Germany, it doesnt matter if he is a company or individual, he will pay VAT. In this case the customer will NOT pay the VAT. The structure of VAT identification numbers is given in the table below.